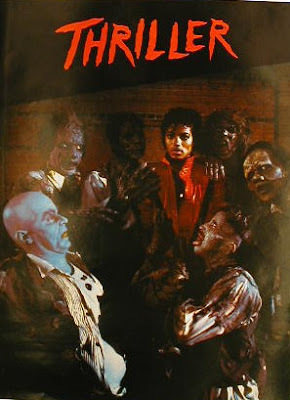 Home all saint's day dance dance craze halloween Halloween 2011 Michael Jackson MJ monsters Thriller Thriller MTV Thriller Music Video The Music Video of Michael Jackson's "Thriller!" This is the biggest selling album of all time from the King of Pop, Michael Jackson! Almost all of us were familiar with this all-time dance craze song. And many really know the trade mark dance step of it popularized by MJ. Since we are now on the season of Halloween, let me share with you this great music video featuring the creatures from darkness, zombies, monsters, and other supernatural things. "Thriller" truly marks the Halloween! Yup, while watching this MTV, it feels like I'm also watching a horror movie! The cinematography is great! The intro is the best! "Simula pa lang mapapasigaw ka na...!!!" Now I know why it became an all-time favorite hit! It truly created a trademark in the world of music! And it is a favorite Halloween treat!